I was at a party last week (which was beyond fabulous), and when I walked in the bathroom I was in awe. A Jo Malone Lime Basil & Mandarin candle was burning. The scent was so refreshing, relaxing, and softly elegant. I was so surprised how much I enjoyed the scent. I am not a purfumey type of girl, mostly because nothing ever smells that good to me. I try.. . . . . believe me I own about a half-a-dozen full purfume bottles that never get used. I have walked by the Jo Malone store numerous times, passed by the fragrance section in countless department stores. 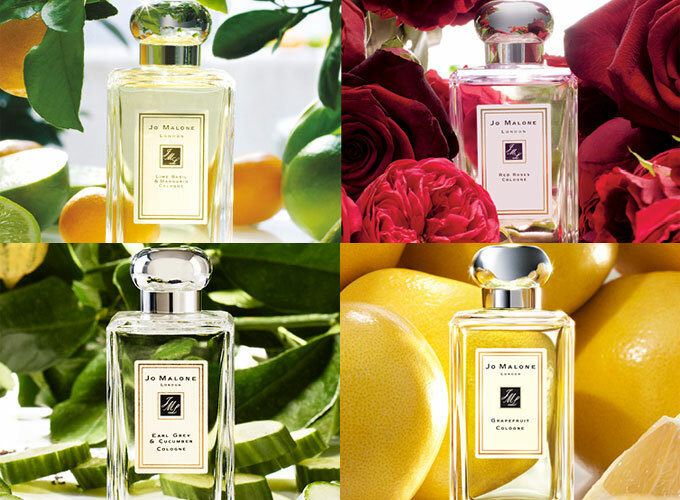 What a big mistake on my part: Jo Malone serves up beautifully citrus, fruity, light floral scents that are irresistible. They also carry floral, spicy, and woody type of scents. What I love most about the brand is the scents are meant to be layered or mix & matched to compliment one another. I bought the Lime Basil & Mandarin cologne, and have been applying to my neck day and night. I also received samples of Earl Grey & Cucumber and Wild Bluebell and they are also both delicious. I am in love this brand. They smell so delightful, they are worth checking out. I myself are going to be giving Jo Malone a lot more money in the future. Anything by Jo Malone would also make a wonderful gift, especially for a new home.